10 means parents have to do it all. 1 means parents have to supervise but not interfere. Free horse coloring pages that you can download. 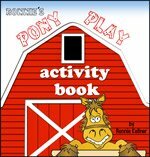 Fun to color and also learn a lot about horses with these instructional sheets.Click on the picture to download and print a bigger version. a bridle on a horse.